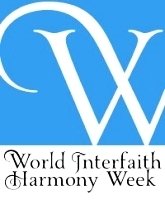 The Interfaith Network of the City of Greater Dandenong invites you to the World Interfaith Harmony Day Breakfast 2017. Guest Speaker at the breakfast will be Dr Naysun Saeedi who will address Family Violence: Will It Ever End? Dr Naysun Saeedi will be exploring the ongoing impact on children and the complex role of faith in family violence situations. About the Speaker: Dr Naysun Saeedi completed his basic medical training in Queensland, and his psychiatry specialist training in Melbourne. His subspecialty is in child, adolescent and family psychiatry. He was the former director of the child and adolescent psychiatry service in Cairns, north Queensland and since his return to Melbourne, he has been working at the Monash Medical Centre as a child and adolescent psychiatrist and is also a lecturer at Monash University. Born in Africa, to Iranian Baha’i parents, spending his primary school years in Iran, he and his family migrated to Australia in 1986 escaping the religious violence and persecution against Baha’is. He is a member of the Baha’i Faith community and of the Monash Baha’i Council. From his experience and wealth of knowledge, Naysun will be speaking on: ‘Family Violence – Will it ever end? Exploring the ongoing impact of family violence on children and the complex role of faith’. RSVP: This is a FREE breakfast event. For catering purposes, we need to know how many are coming. RSVP by email to interfaithofficer@interfaithnetwork.org.au or phone: (03) 8774 7662 – as soon as possible, but no later than the 30th January.